On 29 – 30 April 2015 Denmark hosted an international conference “Improving Pig Welfare – what are the ways forward?“. Below you find ‘soundbites’ from conference workshops, all more or less related to the subjects of study in the FareWellDock project. The workshop on tail docking of piglets at the Pig Welfare Conference in DK had a very interesting poll showing that 95 % of the participants believe that it is realistic to stop tail docking either immediately or within a 10 years period. Suggested solutions and ways forward for pig welfare (from Workshop 3): Stopping tail docking immediately …and encouraging the farmer to think “out of the box”; sharing information regarding manipulative material. Intact Tails – A Challenge! 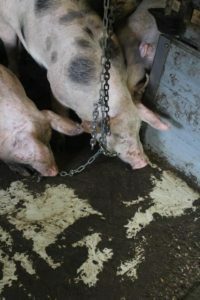 To compare welfare consequences of no docking at a farm level the number of tail bitten pigs must be considered (T. Jensen). EU wide legislation is important to set the lower boundaries for farm animal welfare, and it needs to be enforced (H. Spoolder). 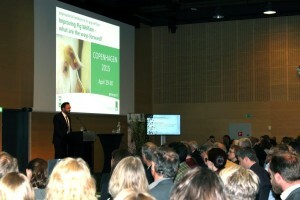 The overall goal of animal welfare policy should be the same everywhere in the EU (H. Spoolder). Anna Valros and Mari Heinonen published a paper called “Save the pig tail” in Porcine Health Management. 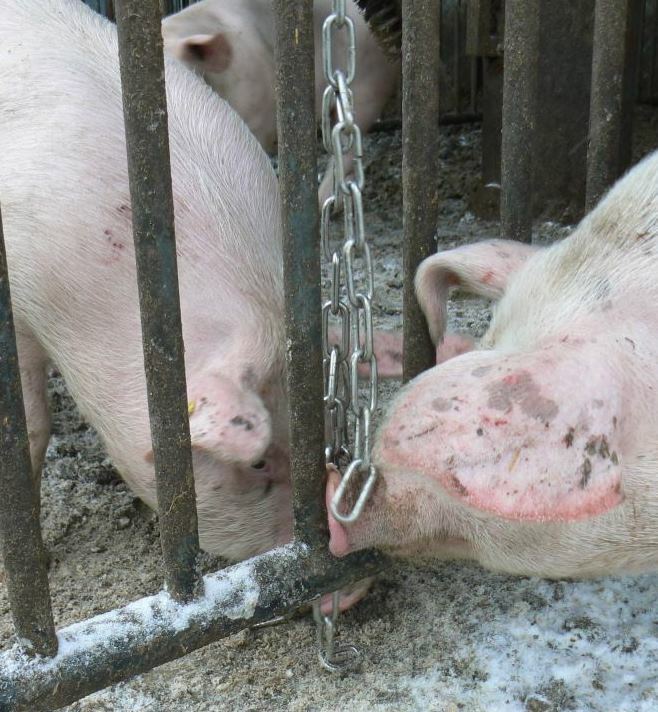 Tail biting is a common problem in modern pig production and has a negative impact on both animal welfare and economic result of the farm. Tail biting risk is increased by management and housing practices that fail to meet the basic needs of pigs. Tail docking is commonly used to reduce the risk of tail biting, but tail docking in itself is a welfare problem, as it causes pain to the pigs, and facilitates suboptimal production methods from a welfare point-of-view. When evaluating the cost and benefit of tail docking, it is important to consider negative impacts of both tail docking and tail biting. It is also essential to realize that even though 100% of the pigs are normally docked, only a minority will end up bitten, even in the worst case. In addition, data suggests that tail biting can be managed to an acceptable level even without tail docking, by correcting the production system to better meet the basic needs of the pigs. Valros, A., M. Heinonen, 2015. Save the pig tail. Porcine Health Management 2015 1:2. Edman, F. 2014. Do the Member States of the European Union comply with the legal requirements for pigs regarding manipulable material and tail docking? Student report 572, SLU, Skara, Sweden. Accessed 17-2-2015. Tail biting behaviour is a major animal welfare issue in intense pig production, as well as an economic issue. To prevent the behaviour, tail docking is practised. It is a painful procedure where a part of or the whole tail is cut off. There is a lot of research on the subject of tail biting, with a big variety of solutions to prevent the behaviour. Scientists are consistent about that the absence of manipulable material increases the risk for tail biting. Manipulable material works as an environmental enrichment and stimulates natural behaviours of the pig, such as investigation and rooting. It helps pigs to cope with the environment and reduces stress and frustration, triggers that can lead to tail biting. The legal requirement regarding tail docking state that it shall not be practised on a routine basis and has been in force since the 1st of January 1994. It was strengthened in 2003 and now appears in Council Directive 2008/120/EC which codifies the earlier directives. The legal requirement now states that measures to prevent tail biting shall be taken before practising tail docking, measures such as changing inadequate management systems, changed environment and reduced stock densities. Pigs shall also have access to a suitable material or object, to be able to perform natural behaviours and prevent tail biting and stereotypies. In the latest version of the directive on pigs this material was defined as straw, hay, wood, sawdust, mushroom compost, peat or a mixture of such. 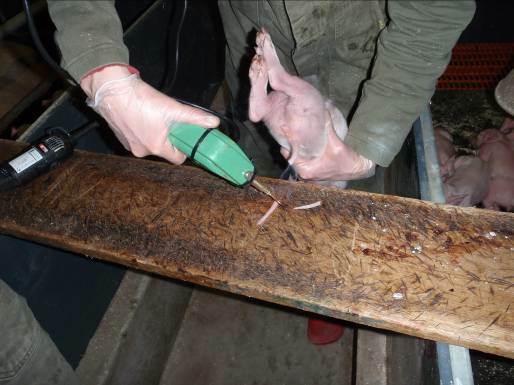 The aim of this study was to investigate the current situation of compliance with the legal requirements in the directive on pigs, regarding the provision of manipulable material and the routine practice of tail docking. It was also to investigate actions to increase compliance among the Member States in the European Union. A descriptive analysis of available FVO-reports was used, together with written answers from the Competent Authorities and a qualitative interview with people at the Commission and the FVO. The results of this report showed that 18 out of 28 Member States in the European Union do not comply with the legal requirement regarding the provision of manipulable material, and that 17 of the Member States do not comply with the legal requirement regarding the practice of tail docking. There has not been any actions such as sanctions to increase the compliance among the Member States. These findings make an overall conclusion possible about the current issues with the compliance of the directive on pigs. There are no further intrinsic actions to increase compliance, due to a lack of responsibility among the involved parties, such as pig farmers, Competent Authorities and the Commision. Due to the lack of intrinsic action, it is an impossibility to conclude when full compliance will be fulfilled. Marzocchi, O. 2014. Routine tail-docking of pigs. Policy Department C: Citizens’ Rights and Constitutional Affairs, European Parliament, European Union, Brussels, accessed 17-2-2015. Upon request of the PETI committee, the present study examines the issues raised in Petition 0336/2012, the legal framework on the protection of pigs, the level of implementation of the Directive on the protection of pigs in relation to tail-docking on the basis of the available information, the actions being carried out, or that could be carried out, to ensure proper implementation by Member States of the Directive requirements. The Committee on Petitions (PETI) examined on the 1st of April 2014 Petition 0336/2012 by C.R. (Danish citizen), on behalf of Dyrenes Beskyttelse (Danish Animal Welfare Society), concerning the routine tail-docking of piglets in Denmark1. The petition raised the issue of the lack of implementation in Denmark, as well as in most EU Member States, of Council Directive 2008/120/EC laying down minimum standards for the protection of pigs, in relation to the rules governing the tail-docking of pigs. The Commission recognised during the discussion that the implementation of the Directive in this regard is not satisfactory, but stated that it did not intend to launch infringement proceedings nor to propose amendments to the Directive, considering these actions as not appropriate. It stated instead that it preferred to rely on guidelines for Member States to ensure better implementation of the Directive, as well as on e-learning tools that are currently being developed. 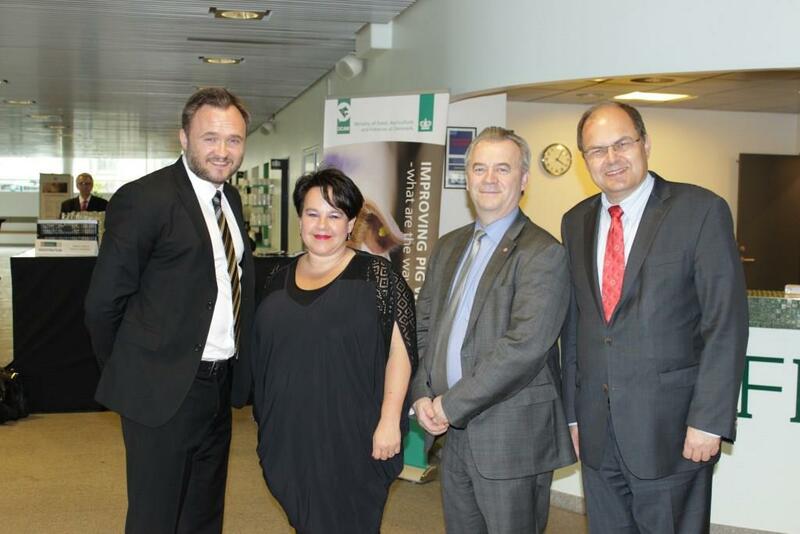 It also pointed to upcoming initiatives, such as framework legislation on animal welfare. On the same day, PETI committee coordinators discussed the petition, the unsatisfactory implementation of the Directive, as well as the refusal by the Commission to launch infringement proceedings against non-compliant Member States. It was decided to request the Policy Department to analyse the issues discussed so to allow the committee to re-examine the matter during the new parliamentary term, including by potentially deciding to send a delegation to a number of Member States to investigate on the effective implementation of the Council Directive. The present study addresses the PETI coordinators’ request to analyse the issues raised in the petition, the legal framework on the protection of pigs, the level of implementation of the Directive on the protection of pigs in relation to tail-docking on the basis of the available information, and the actions being carried out, or that could be carried out, to ensure proper implementation by Member States of the Directive requirements. -Commission guidelines, training and e-learning tools, including on enrichment and manipulable materials, as well as a possible Framework Law on Animal Welfare, can be useful instruments to support farmers and Member States’ authorities in the implementation of the Directive; – at the same time, these could be accompanied by a stricter enforcement policy, notably since the Directive has been in force for more than 10 years (while the ban on routine tail-docking has been in force for more than 20 years); – the Commission could be bolder and prepared to launch infringement proceedings as an enforcement tool of last resort, as the mere prospect of serious action may prompt Member States to comply; – the Commission could also more systematically collect, monitor and publish information on the transposition of the Directive by Member States, as well as on their degree of compliance with the ban on routine tail-docking of pigs, including through inspections and specific requests to Member States. Tail-biting, ie a pig biting another pigs’ tail, is an abnormal behaviour caused by several risk factors, notably by a poor or stressful environment frustrating the normal investigative behaviour of pigs (which are among the most intelligent and curious animals) in common intensive farming conditions. Tail-biting can result in infections, affecting the health and well-being of tail bitten pigs and can lead to tail-biting outbreaks. Tail-docking is the practice of removing the tail or part of the tail of a pig, while routine tail-docking is the systematic docking of the tail of pigs, normally done in the early days of life, with the aim of avoiding the risk of tail-biting. It is done without anaesthesia, though it is a mutilation which is painful. Tail-docking can cause long-term chronic pain and infections, as well as redirection of the biting behaviour to other body parts, such as ears and legs. Enriching and manipulable materials are materials such as straw, hay, wood, sawdust, mushroom compost and peat or a mixture of these, with which pigs can satisfy their explorative, playful and foraging behaviours. Studies have highlighted that the provision of such materials has a positive effect on pigs, reducing the risk of tailbiting.